Patients can resume normal activity right away. Call for pricing. As careful as you are about good skincare, eating a healthy diet, and keeping your body toned and strong, eventually the aging process will reveal itself. One of the first places it rears its head is in the face. As tissues naturally lose volume over time, unsightly folds around the nose and mouth can appear, causing a “hard” or haggard look. Good news-there’s no need to let tell-tale creases betray your age anymore. 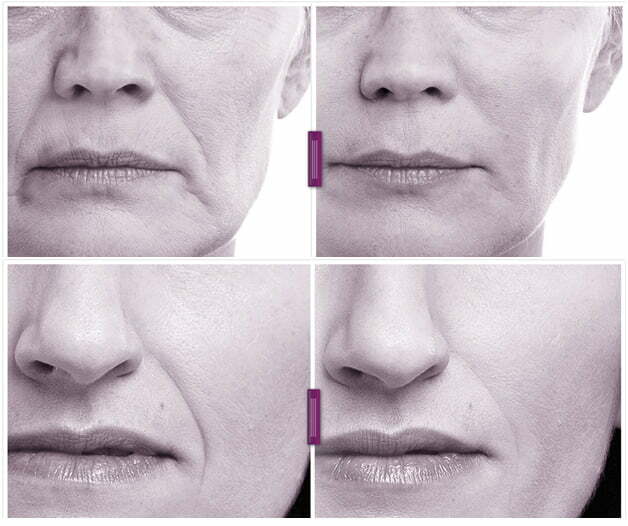 Juvéderm Vollure™ XC is the newest option to smooth nasolabial folds, and the results can last up to 18 months. Dr. Gregory Buford is proud to be one of the first plastic surgeons in Denver to offer Vollure XC, which was FDA approved in March 2017. Before you meet with Dr. Buford for your consultation, consider filling out our face and skin self-assessment. By sharing how you see yourself, we can best evaluate your aesthetic goals and determine an appropriate treatment plan for you. Vollure XC is an injectable filler that is designed to smooth moderate to severe nasolabial folds, or deeper creases around the nose and mouth. Like all Juvéderm products, Vollure XC is made from hyaluronic acid, a naturally-occurring substance in the body that helps keep skin plump and hydrated. The difference is that Vollure XC incorporates VYCROSS, the same proprietary technology that’s used in the lip filler VOLBELLA, into a filler meant for deeper wrinkles. Thanks to VYCROSS, Vollure XC contains the optimal ratio of larger-to-smaller hyaluronic acid molecules to create a smooth and soft, yet slightly firmer gel that sits beautifully beneath the skin to smooth out deeper creases, while moving naturally with your facial expressions. What signs of aging can Vollure XC treat? Before & after Juvéderm Vollure XC. Manufacturer photos; your results may vary. Juvéderm vs. Vollure: which is best for you? Vollure XC offers very similar, natural looking and feeling results to “regular” Juvéderm XC; however, the slightly firmer consistency of Vollure XC is especially well-suited to nasolabial folds and it can last up to twice as long. If you love the results you get with Juvéderm, but wish they would last longer, then you’ll really love Vollure XC. That said, the best way to find out which filler is best for your needs and goals is to consult with an experienced plastic surgeon. 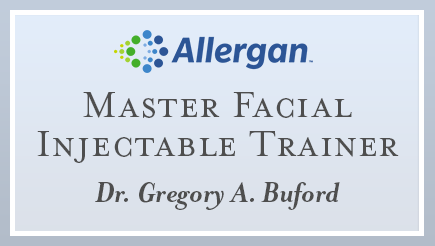 An internationally recognized trainer for Allergan, the makers of BOTOX and Juvéderm fillers, Dr. Buford has considerable expertise in the formulas and effects of each filler option, and can help you determine the most appropriate option at a personal consultation. Ready to try Vollure XC? Contact us to schedule a personal consultation with Dr. Buford and his Physician Assistant Kaitlyn. "Amazing experience, outstanding customer service and the most incredible results... read more"
"Thought I could give back to this RealSelf community and share my experience to ... read more"
"I am 49 yrs old, 5’ 1”, and weight around 110lbs. I had 350CC(right) and 375... read more"